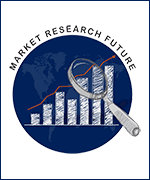 The Global frozen meat market has witnessed continued demand during the last few years and is projected to reach USD 86.58 billion at a CAGR of 4.36% by 2023 in terms of value. Frozen meat market has witnessed substantial innovation in terms of new product launches along with research & development and collaboration. Also, the overall disposable income of the consumer is increasing over the past few years which in turn leads to surge in sales of frozen meat during the forecast period of 2017-2023. Increasing demand of convenience food coupled with strong performance of retail sector is one of the significant factor which is positively influencing the sales of frozen meat in the upcoming decade. The upcoming trend of food traceability and rising demand of convenience food products especially in developing markets across the Asian countries such as India and China. Also, the strong performance of retail sector along with rapid increase in number of large retail chains including hypermarkets and supermarkets has boosted the demand of frozen food in the developing Asian countries. Emerging countries such as India, China, Brazil, Argentina, and Malaysia among others are the potential markets for frozen meat products, as consumers in these markets are demanding for readily available and new varieties of food products. Due to technology upgradation over the decades, efficiency in production in terms of cost & longer shelf life, along with developed food service sector, frozen food has gained traction in the developing economies. Huge investments in R&D, new product development by market players, lower trade barriers, and cold chain sectors invest in developing countries has created lucrative opportunities for the growth of frozen food market across the globe. The frozen meat manufacturing companies can penetrate their business into the developing economies like India, China, ASEAN countries, Brazil and other developing economies which provide lucrative opportunity for key international players. Global frozen meat Market is undergoing a massive technological advancement over the past few years. The leading market players in the global frozen meat market primarily are Marfrig Group. (Brazil), Kerry Group Plc. (Ireland), BRF S.A. (Brazil), Associated British Foods Plc. (U.K.), Pilgrim’s Pride Corporation (U.S.), Tyson Foods, Inc. (U.S.), Cargill Incorporated (U.S.). Food service end user is estimated to witness a massive growth of 4.70% during the review period of 2017-2023. As per the MRFR analysis, the global market for frozen meat has witnessed continued demand during the last few years and is projected to reach USD 86.58 billion by 2023, at a CAGR of 4.36% during the forecasted period. Europe is estimated to dominate the global frozen meat market holding a lion’s share of more than 35% and projected to reach USD 31.47 billion by the end of 2023. Asia Pacific will witness the highest growth rate of 4.87% in the global frozen meat market whereas North America will witness moderate growth rate.